I love making labneh and it’s a favorite dip in our household. 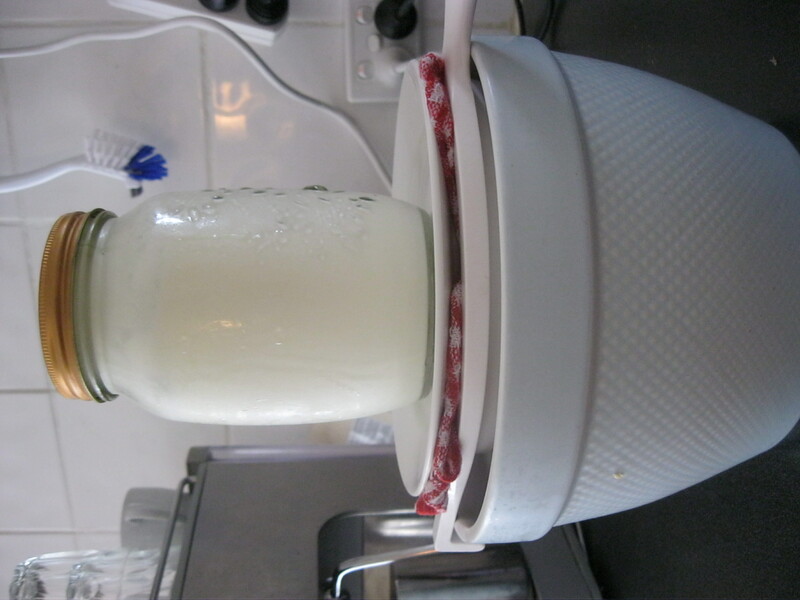 It is easy and turns yogurt into a delicious cheese which you can use on bread, or as a dip. Simply line a sieve with a muslin cloth or tea towel (I bought some muslin from a local fabric shop and hemmed it) and place the sieve over a bowl. 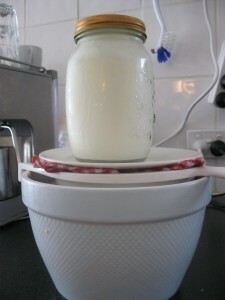 Put your yogurt inside the cloth, fold over the edges and put a plate on top of the wrapped yogurt. Place a weight like a can on the plate. Pop it in the fridge for a few hours or overnight. Once done your labneh should have a ricotta consistency. Eat it on its own with bread or serve with fresh chopped herbs, sumac and some olive oil as a dip. I like to toast wholemeal flat bread in triangles in the oven as dipping chips. A liter of yogurt will make two dip sized bowls of labneh.